Limerick's original Live Music Venue Dolan's Warehouse is home to the best of Irish and International Music and Comedy Acts as they tour Ireland. Situated on the Docks in Limerick City, the venue also hosts Limerick's best indie and dance club nights. A traditional Irish Pub located on the Dock Road in Limerick. We have a Restaurant and three Live Music Venues (The Warehouse, Upstairs at Dolans and the Kasbah Social Club). We cater for groups of all shapes and sizes in our purpose built venues. 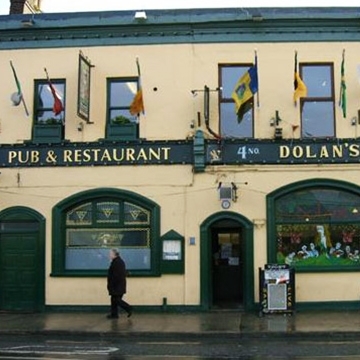 We strive to ensure you always have a great experience under our roof...The Dolans Experience!